ITC supports the Least Developed Countries (LDCs) to enhance their participation in the world economy and realize development goals through exports. ITC contributes actively to the achievement of the objectives enshrined in the Istanbul Programme of Action for the Least Developed Countries 2011-2020 in areas related to trade development and technical assistance focusing on export success for businesses. LDCs accounted for 55% of ITC’s delivery in 2011-2012 and ITC plans to increase further this percentage in the years to come. The recovery from the 2008 global economic crisis has been challenging for the LDCs as their performance continues to be undermined by external economic conditions. The economic growth of the LDCs as a group was worse in the past three years than in the pre-crisis period, when they showed average growth rates of 7.9% between 2002 and 2008. Despite seeing a positive recovery in 2010 with the real gross domestic product (GDP) growing at the rate of 5.6%, the group experienced a slowdown in 2011, growing by only 4.2%. Overall trends in international trade show that the deficit in the trade balance of LDCs as a whole was 5.7% of GDP in 2011, narrowing from 6.1% of GDP in 2010. The value of exported goods from countries most severely affected by the crisis in 2009 surpassed the pre-crisis level, increasing by 20% in 2011. However, the improvement in export growth has been mostly attributable to a few oil-exporting LDCs, thus the performance of the group as a whole becomes less impressive if oil is excluded from the calculation. Because LDCs have less diversified economies, they depend on a limited range of exports, often primary commodities. While countries that are net exporters of commodities benefited from an increase in prices during 2009-2011, the price volatility of certain products remains a major problem, creating a significant vulnerability for the exporters’ performance. The LDCs only account for 1.12% of global trade. Further integration into the global economy continues to be hampered by a range of supply-side constraints in these countries. Increasing foreign earnings by exporting higher value-added goods has proven to be difficult for most countries because lack of access to technology and the challenge of complying with quality standards of developed countries, for instance, have typically kept them from moving up in the export value chain. Development assistance can enhance productive capacities and reduce constraints on the private sector in LDCs. According to the Organisation for Economic Co-operation and Development (OECD) Creditor Reporting System (CRS), LDCs accounted for 31% of the Aid for Trade funds disbursed in 2011. 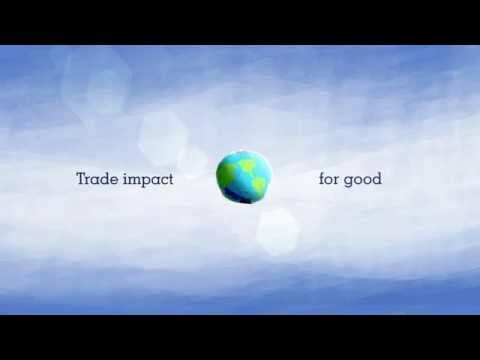 As the 100% Aid for Trade agency, ITC aims to increase the capacity of the private sectors in LDCs so they can take advantage of the global trading system. ITC’s overarching goal is to help the most vulnerable economies to achieve sustainable development through exports by activating, supporting and delivering technical assistance in areas related to export development. To learn more about ongoing ITC activities, please visit the ITC Current Projects page. ITC works closely with other key partners, such as the United Nations Conference on Trade and Development (UNCTAD), World Trade Organization (WTO), United Nations Development Programme (UNDP), United Nations Industrial Development Organization (UNIDO), International Monetary Fund (IMF) and the World Bank, as well as non-governmental organizations (NGOs), donors and development banks, to deliver the Aid for Trade agenda in LDCs in a coordinated manner. ITC complements the efforts of partner agencies by supporting LDCs to become WTO members, addressing supply-side constraints to trade through EIF and supporting tourism in partnership with the Steering Committee on Tourism for Development (SCTD). The key ITC contribution to the WTO accession process is to ensure that the business sectors in LDCs are aware of the implications of accession and are able to make significant contributions to negotiations. In Ethiopia, the Lao People’s Democratic Republic and Samoa, there were marked improvements in private-sector confidence after WTO accession. Samoa was formally welcomed as the 155th member of WTO in May 2012. ITC’s assistance to LDCs in the early stages of the WTO accession process was extended to Afghanistan and Sudan, with a focus on establishing public–private dialogue to foster partnership and coordination. In 2012, ITC also assisted Tajikistan in preparing for WTO accession, with funding from Switzerland’s State Secretariat for Economic Affairs (SECO). ITC promotes cooperation with LDCs through its active participation in the Enhanced Integrated Framework, a multi-stakeholder initiative and the most relevant Aid for Trade (AfT) framework for LDCs. ITC closely collaborates with its EIF partners to support the EIF countries in the programme in areas related to export development. ITC has been contributing to a major boost in the implementation of the EIF by executing trade-related projects in Gambia, Cambodia and Lesotho. ITC has also built a strong strategic partnership under the SECO-EIF Cluster, the first programme funded by the EIF bilateral window. In Laos PDR, ITC acts through national trade institutions under the cluster framework along with UNCTAD, UNIDO and International Labour Organization (ILO). ITC’s work also focuses on advising EIF national implementation units on formulating programmes to strengthen the capacity of export-oriented SMEs in priority sectors identified by the diagnostic trade integration studies (DTIS). As a result, integrated packages of assistance were formulated in cooperation with other partners at the request of the governments of Comoros, Nepal, Benin, Central African Republic, Zambia and Uganda, to mention several. ITC teams up with partner agencies, including UNCTAD, WTO, United Nations World Tourism Organisation (UNWTO), UNDP, ILO, United Nations Environment Programme (UNEP), United Nations Educational, Scientific and Cultural Organization (UNESCO) and UNIDO, to provide specialized tourism assistance in a coordinated fashion, by providing guidance and mobilizing the necessary financial resources to implement tourism for development in selected LDCs. ITC and its partner agencies have launched an innovative approach for the implementation of joint projects in selected LDCs, drawing on the needs expressed by the countries and laying the foundation for a joint resource-mobilization effort with participating stakeholders. The Steering Committee on Tourism for Development was launched in 2011 at the LDC IV Conference held in Istanbul, Turkey, to help countries to identify solutions for the benefit of poor communities and generate employment opportunities through tourism development. The SCTD member organizations have jointly prepared the Portfolio of Services of Tourism Development, with the objective of highlighting the existing opportunities for technical assistance for interested public and private stakeholders in developing countries. A number of LDCs have identified the integration of products from poor communities into tourism value chains as a development priority. ITC delivers tourism-related services aimed at promoting linkages between the existing tourism sector and marginalized small- and micro-producer communities. For more information on ITC’s approach to the tourism sector, visit the ITC Tourism page.